Here at Scooter Software, it is currently Friday, 07:27pm (CDT). Our office hours are 9:00am to 5:00pm, Monday through Friday, excluding typical US holidays. Our office is currently closed. While we are happy to take your phone call, we prefer that you use email to contact us whenever practical. 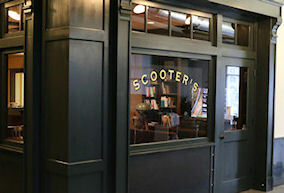 Scooter Software is on the commercial floor of the Weston Place Condominium building.